When you love Leica and coffee, this special Leica mug should suit your needs. 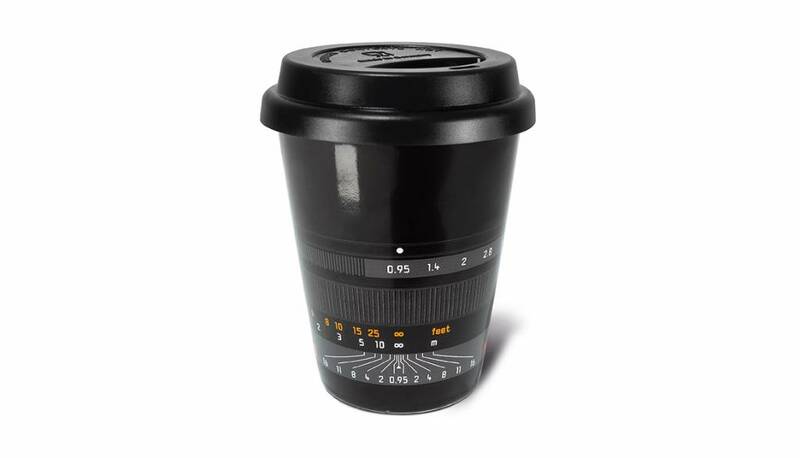 This 'to-go' mug resembles the Noctilux-M 50 lens. 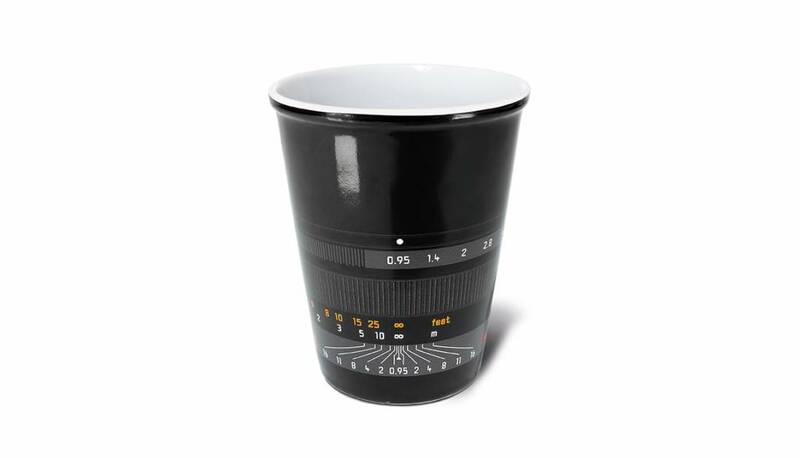 King of the night: The 'Noctilux-M 50' coffee mug. Thanks to a tight fitting silicon plastic lid with a drinking slit, it quickly transforms your office coffee into a “coffee to go”. Just clip the lid on to the top of the 210 ml porcelain mug and enjoy your coffee when you are out and about.